On 31st December 2017, the ASX200 (top 200 stocks in Australia) sat at 6167.3. The same index sat at 5709.4 at 31st December 2018 – a fall of 8 percent for the year. It was a similar story in the US, where 2018 was the worst year for stocks since 2008. December alone saw the S & P Index fall 10 percent and the Dow Jones 9.7 percent, making last December the worst December for stocks in the US since 1931. So the question “Should I sell or keep my shares” is coming up again and again among Australians wanting to make the most of their money. What has caused the fall in the markets? There were a number of concerns for US investors in the shape of rising interest rates and the trade war with China. These were the main factors. In Australia, we’re in the grip of the Royal Commission into the banking and finance industry and not a lot of positive news is coming out of this. There is also concern here about the upcoming Federal election and what a change of government would mean for investors, particularly with self- managed superannuation funds. These make up about 20 percent of the investment market. There’s not much positive sentiment for investors anywhere. 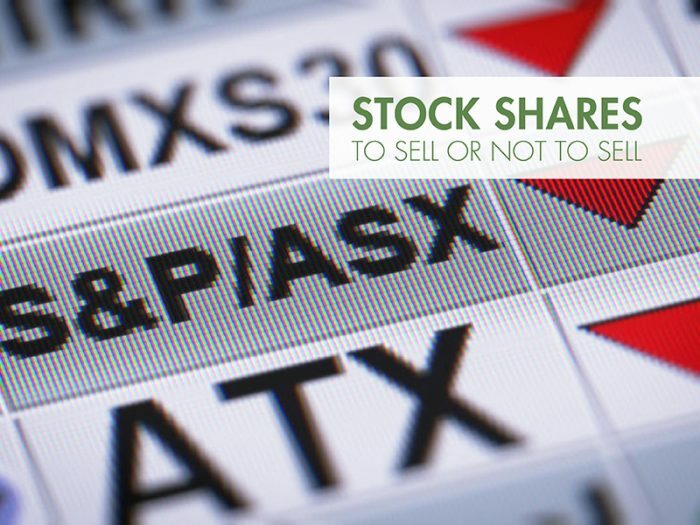 So should you sell or hold your shares – or maybe even buy? Some advocate doing nothing and riding out the storm, as history tells us that the market will always recover. Even after the worst dips in the market, such as the GFC, the market was able to recover in a relatively short timeframe. Others will tell you that this is a great time to buy. The one thing that seems to be consistent from the commentators is that returns from favoured dividend-paying stocks such as the big four banks, Telstra, Wesfarmers and the like will be lower in the future than those we’ve become accustomed to. There may well be a rush of activity to return franking credits to shareholders prior to the election and we have seen such actions with the likes of the recent buy-backs from BHP and Rio Tinto. There may even be some special dividends paid by way of shares, as these companies try to return the benefits of franking credits to shareholders. The answer to this question really depends on your investment timeframe. A 30-year old investor has plenty of time to ride out the downs in this cycle, and will probably experience some more in the future. Self-funded retirees, who rely on the returns for their daily living expenses, may take a different view. The problem is where to put the proceeds from the sale of shares to still get a reasonable return on investment. Canstar shows that the best return for a $100,000 term deposit for one year in a self-managed superannuation fund is 3 percent. When you consider that inflation is running at approximately 2 percent, the net return is not very attractive. Alternatives could be real estate investment trusts, which have shown a 6 percent return in the last 12 months (a combination of income and capital growth); mortgage funds, which pay a steady 5 percent return (income only); private equity funds, which only have capital growth but this has been at 10 percent over the last year; or, alternatively, global investments. Note that historical returns offer no certainty of future returns. Also, if considering global investments, take a look at hedged funds, as this will offset the volatility of the Aussie dollar compared to the US greenback. Whichever way you choose to go, be sure to get expert advice. Speak to David Williams at Pascoe Partners Wealth on 93223400 if you would like some more information.